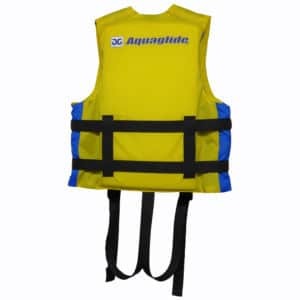 Fits two paddlers comfortably, or provides a solo paddler with optimal performance and gear capacity for extended use. 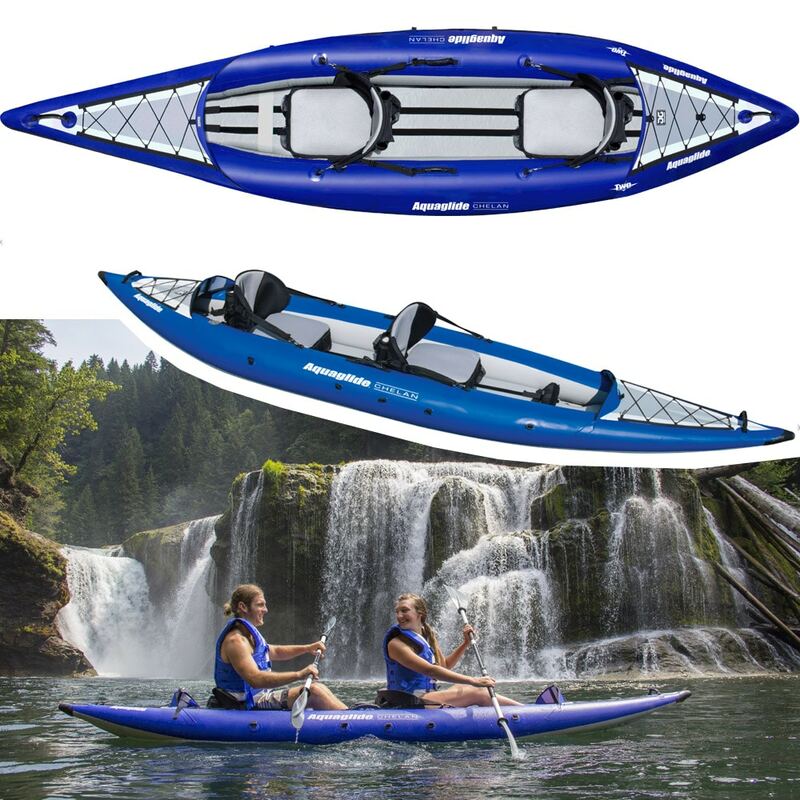 Chelan HB is designed for touring, adventure and all-around use. The Chelan HB Series is one of the best selling touring designs on the market. 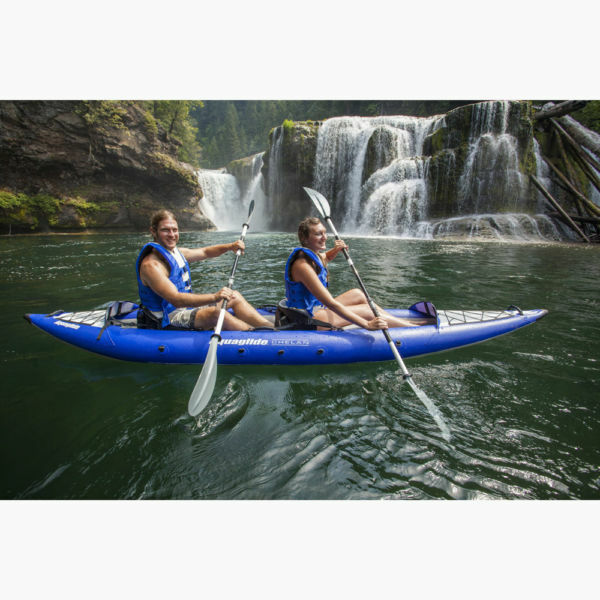 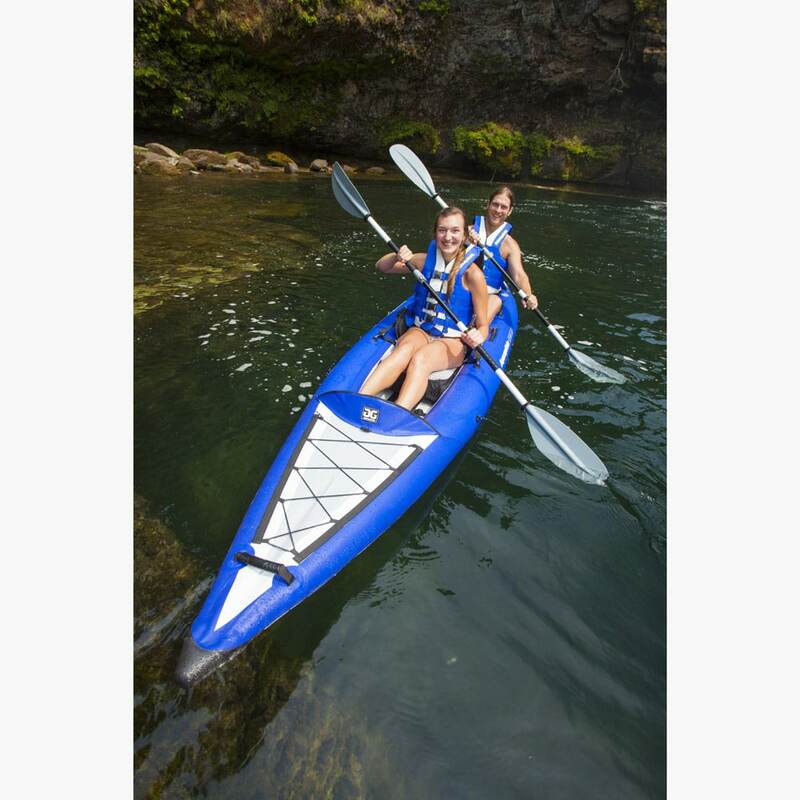 With a long waterline, flat rocker and fine, piercing bow this kayak will provide you with great tracking ability and outstanding glide to cover long distances on your adventures with ease. 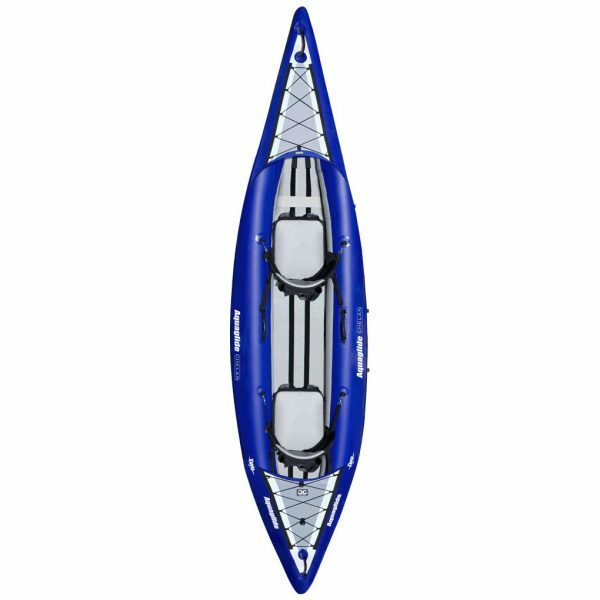 Chelan HB boats combine our tough Duratex™ tube construction with the supremely rigid Hard-Bottom™ floor for an expedition-grade boat that will last for many years. 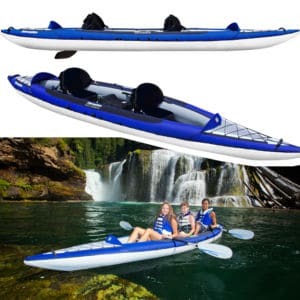 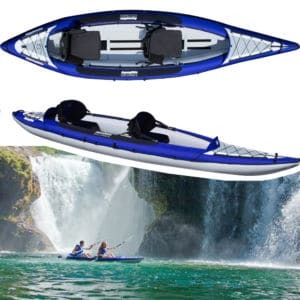 This combination of materials in the Chelan’s construction creates a stiff and responsive inflatable that performs just as well as a traditional hard shell kayak. 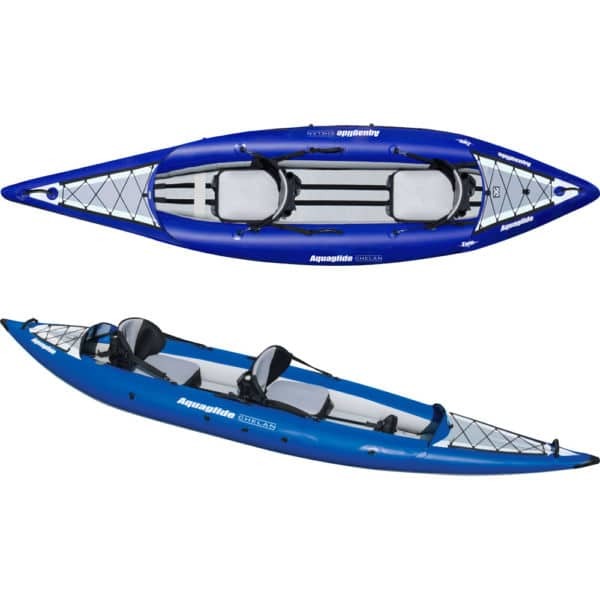 The innovative Splash-Guards™ positioned fore and aft of the cockpit help keep paddlers dry and the ample accessory straps grace the bow and stern providing easy stowage for dry bags or other gear. 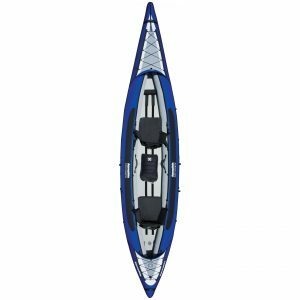 Sturdy molded handles are positioned around the boat for convenient boarding and transport. For added comfort the PRO-formance™ seats provide an array of thoughtful features including adjustable air cushion, high backrest, plentiful mesh storage pockets, integrated fishing-rod holders, fore and aft seat straps so that you can enjoy your time on the water to its fullest. 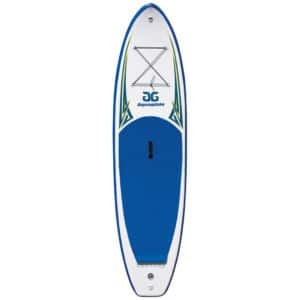 The high-performance fin system includes a stiff, foiled fin with unique quick-release for easy setup and comes a convenient backpack travel bag. 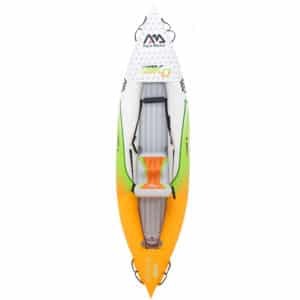 To unleash the Chelan’s full potential we suggest using one of our High Pressure Pumps with HB boats. 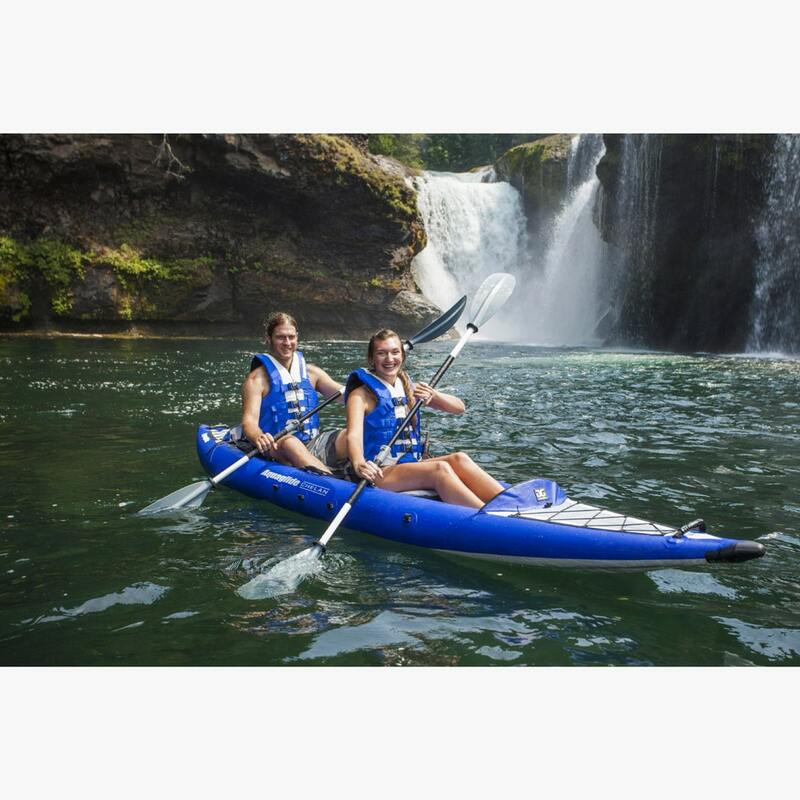 Pump sold separately, see Accessories page for pump options. 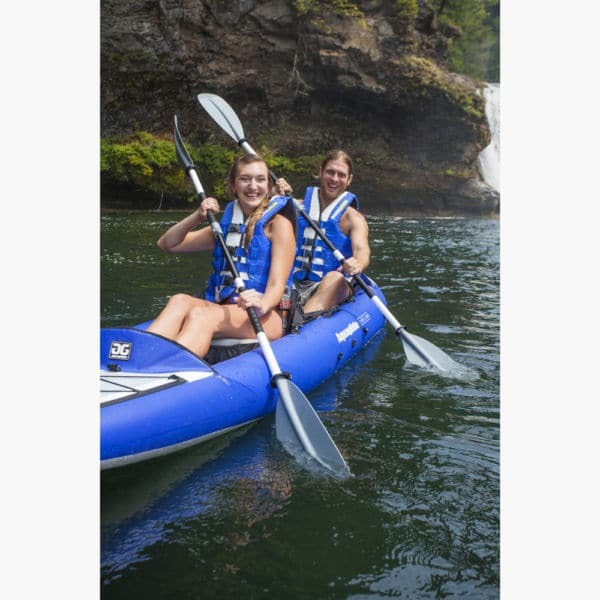 Optional Touring Deck Covers available for Chelan Series.